The term “tough weekend” has been used frequently this winter, but Nick admits this particular weekend saw him cycling in two of the hardest races he’s ever done. The National CycloCross Champion Veteran title defence was on Saturday 9th January at Shrewbury, and Nick had a challenging ride in seriously muddy conditions, but managed to get away from rival competitor, Rob Jebb, of 3 Peaks and Fell Running fame, to take the Veteran’s title again. 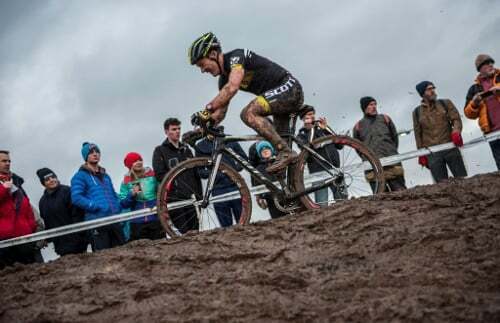 Not able to resist the mud, Sunday saw Nick racing again in the Elite category, finishing a very commendable 4th.